The Keystone Heights Airport was constructed in 1942 by the United States Army Air Forces (the US Air Force did not yet exist), on the Southwest perimeter of Camp Blanding. It was originally named as Crystal Lake Army Airfield, due to its proximity to Crystal Lake, but when commissioned in December of that same year it became known as the Keystone Army Airfield. During World War II, the field was the home of the AAFSAT Strategic Reconnaissance School. 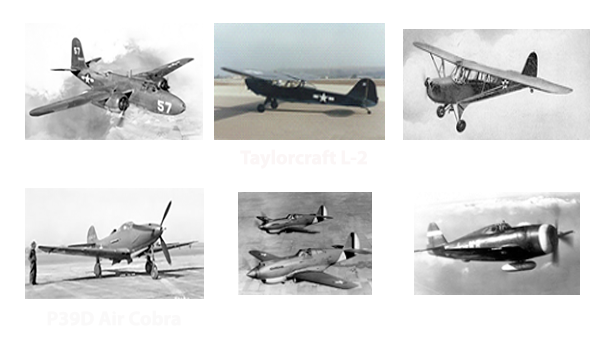 The F3 Havoc, P39D (variant) Air Cobra, and L-2 and L-3 Grasshopper Light Observation Aircraft (similar to a Piper Cub) were some of the Aircraft utilized for training. In November of 1943, the 313th Fighter Squadron moved from Alachua and employed P40 Warhawks for training. Later, the P40s were replaced with P47 Thunderbolts. In January 1945, the AAFSAT sent down orders for closure and on February 1 1945, the field was placed on inactive status. The city of Keystone Heights acquired the Airport from the Federal Government on 1947. The following book can be purchased at the Airport Office or online at Amazon. From its inception to the present day, various branches of the Military continue to utilize the Airport for various training exercises throughout the year including parachute training and recurrence training, night vision approaches, equipment drops and mobilization, utilizing Rotary Wing and Fixed Wing Aircraft. Runway 5-23 can support aircraft weighing up to 150,000 lbs. and periodically we have C-130 aircraft using our runway and ramp area for operations. We also have a couple private corporations (tenants) that provide some military, and paramilitary, training through Government contracts. Camp Blanding’s Joint Training Operations Center is the alternate Emergency Operations Center (EOC) for the State of Florida in the event that the primary EOC in Tallahassee needs to be evacuated. Camp Blanding may use the Airfield for operations, and logistics before, or during, events such as natural disasters, hurricanes, etc. When fires were burning all over Florida in the nineties, and as recently as 2006, the Florida Department of Forestry used 42J as their headquarters for coordinating aerial firefighting and logistical support for staff and equipment The Airport’s geographic location centered amongst numerous lakes was perfect for Helicopters to refuel and then dip water from the surrounding lakes to drop on fires. Throughout the year, our field hosts some wonderful visitors. Due to our proximity to venues in Northeast Florida including Ben Hill Griffin Stadium (Florida Gators Gainesville FL), Everbank Field (Jacksonville Jaguars NFL Jacksonville FL), Sawgrass Country Club (The Players Championship Ponte Vedra Beach FL), Daytona Beach International Speedway (NASCAR Automobile Racing) we have provided operational support for both the Direct TV, and Goodyear, Blimps. On a few occasions, Banner Towing Operations have operated out of the field as well. Keystone Airport has an Aerobatic Box located on the Northwest side parallel to runway 5-23 and is currently registered to, and overseen by, Patty Wagstaff. http://www.pattywagstaff.com/ . Twice a year, we host anywhere between 15 and 20 Aerobatic Aircraft Pilots whom are members of Eagle Sport Aviation http://www.eaglesport.org/ for contests whereby they are critiqued based on their skills. This event is not an airshow but a private event for the members to be graded, improve their skills, and enjoy comradery amongst peers. While not readily advertised, the public is always welcome to come and watch the show “for free”! Lima Lima Flight Team https://limalima.com/ is another group of pilots that fly T-34 Mentors and uses our aerobatic box for practicing their show routines. The Airport has hosted numerous events over the years including a concert for the Wounded Warriors Project featuring the Montgomery Gentry Band, the annual Fourth of July Street Dance, and Haunted Trail (Halloween), both organized by the Keystone Heights Jaycees, 5K Glow Run organized by Communities in Schools (Bradford County), and Operation Outdoor Freedom which is a hunt coordinated with the Florida Fish and Wildlife Commission, Airport volunteers, and the Keystone Sportsmen Club for wounded veterans. Keystone Heights Airport is located approximately 50 miles Southwest of Jacksonville FL and 3 miles north of the City of Keystone Heights. It straddles both Bradford and Clay Counties and is currently the only public use Airport in both Counties. 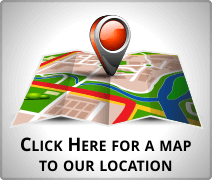 We invite you to our Airport and the Beautiful Communities of Keystone Heights, Starke, and Melrose. Take a boat ride or swim in one of our beautiful lakes!